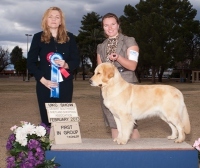 Arizona Golden Treasures began in 2009 when the first litter of Goldens from Missy and Logan were born. 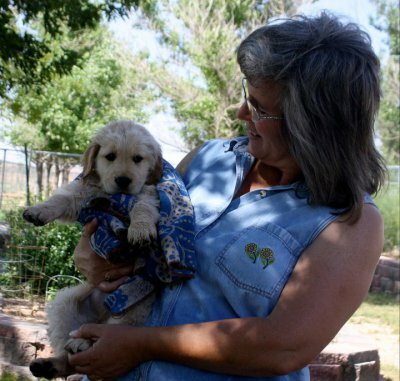 At Arizona Golden Treasures, o ur goal is to offer puppies bred to the highest standard of the Golden Retriever breed to families all over the United States. We carefully plan each litter with the objective of producing beautiful, intelligent dogs with excellent temperaments and no hereditary issues. To ensure the health of our puppies, each of our breeding dogs have their hips, elbows, heart, and eyes certified by the Orthopedic Foundation for Animals . Katie has always loved animals, especially horses and dogs. While working as a veterinary technician at Cornerstone Animal Hospital, Katie fell in love with the Golden Retriever breed. It broke her heart to see so many loving families bring their Goldens to the clinic with hereditary conditions that might have been prevented through better breeding programs. So, she decided to start a breeding program that would strive to eliminate heriditary conditions. In early 2007, Katie purchased her first Golden, Missy, from a breeder in Missouri. Two years later, Missy passed all of her tests and was bred to Logan. That is when Katie began raising puppies with her family in Gilbert, AZ. Katie works part time at Cave Creek Equine Surgical Center as a veterinary technician for horses. The rest of the time she is at home with her kids and the dogs/puppies. 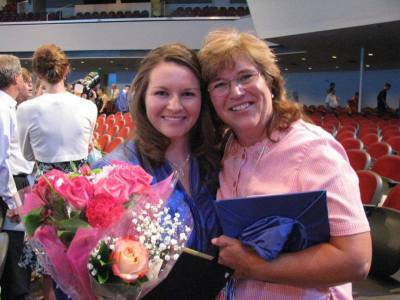 Valerie, Katie's Mom, works from home and loves raising puppies. Jayme, Katie's Sister, is a huge help with caring for and photographing the puppies. Jayme also grooms, trains and shows the dogs. Please feel free to call or e-mail with any questions. We encourage you to ask us questions and hope that you will not be offended by us doing the same in order to ensure that our puppies go to wonderful homes.